I’ve read three of John Green’s books now. Rather than worry that I have the literary tastes of an adolescent girl, I’ve decided that they’re a connection to my daughter who’s growing up so fast. They’re also an insight into the hopes and dreams and fears of my adolescent students. In Paper Towns Green tells a terrific story that feels very real as his characters peel away layers of identity that they have applied to themselves and to their friends. There’s a mystery. The plot works. The adventures feel genuine. There are great literary connections. Whitman’s “Leaves of Grass” plays a central role in the novel. Holden Caufield doesn’t appear, but an essay comparing him to central character Margo Ross Spiegelman is an obvious task. Canadians might draw contrasts to Hagar Shipley or even Susanna Moodie. Q. 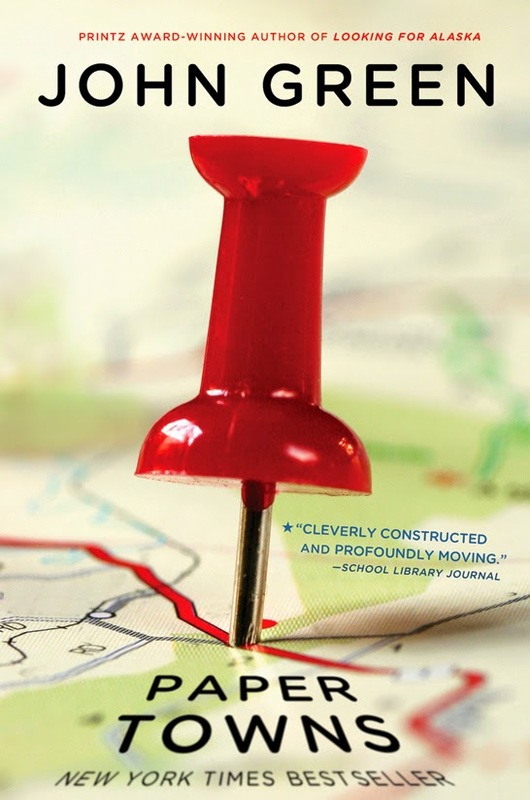 What titles did you consider before coming up with “Paper Towns”? The Life and Hard Times of Margo Roth Spiegelman. Chasing Margo. This ended up being the German title. They were all more pretentious than Paper Towns. I come up with like 1,000 titles, and then Sarah and Julie laugh at me for my pretentiousness and we try to settle on the least pretentious title. I don’t know how I ever got The Fault in Our Stars past their pretention detectors. And lastly, there’s a film coming out. That opens up all sorts of media analysis possibilities ranging from discussions of casting, to the changes in the plot, to responses to reviews, to analysis of the marketing. The start of a new semester is a time to think hard about the classroom communities we’re building for our students. The following activity uses a list of 50 questions to get to know someone by Andrew Tarvin as an excuse to bring students together for conversations. I think it’s fun, because not only do they have a chance to talk about themselves (generally an opportunity adolescents embrace) but also we can use the list to think about the kinds of questions that are appropriate in different situations. Later in the term, these questions can be revisited as we consider characters in texts and perhaps analyze how fully realized a fictional character is based on how well we could answer these questions about a character from a short story or novel. Also, as an option for grade 9 / 10 classes, the task branches off into New Report writing as a prelude to instruction for the OSSLT. This clever video is a great example of “selling the problem” — and it’s horrifying. People are abandoning dogs as puppies outgrow their cute stage and become a nuisance… so let’s create “PuppySwap”. The viewer is left to wonder where is the man taking the older dog? What’s going to happen to the dog? 1. At some point did you start to doubt the authenticity of the ad? 2. Why do we consider the idea for this service to be morally unacceptable? Do dogs have rights? 3. How big a problem is pet abandonment? How could we find accurate information about this issue? It might be mean, but I’d be inclined to pause the video just before the title comes up at the end and ask the students to react and comment prior to revealing the true purpose of the ad. Novel discussion groups can become formulaic without the injection of new material to spark interesting debate. This terrific graphic by Gemma Correll provides excellent fodder for character analysis. Use the graphic as a standalone discussion starter or consider using it alongside Susan Cain’s excellent TED Talk “The Power of Introverts“. Getting Lost: "The Last Days of Peter Bergmann"
The Last Days of Peter Bergmann Trailer from Fastnet Films on Vimeo. The full 19 minute long film can be watcher here at Aeon Video: The Last Days of Peter Bergmann. The film explores how unsettling we find the idea of a lack of identify, and deliberate efforts of a man to leave this world anonymously. Randall Sullivan’s article from WIRED tells the fascinating story of a modern bounty hunter: “The World’s Best Bounty Hunter is 4’11” – Here’s How She Hunts” — in it we follow the hunt for criminals trying desperately to stay off the grid and out of prison. These are people who would love to gain the anonymity of Peter Bergmann. Contrast these present day stories with the heartbreaking documentary “No Place on Earth” and the efforts of a group of Ukrainian Jews fleeting nazi troops and disappearing into a cave for over a year. NO PLACE ON EARTH TRAILER YOUTUBE 5D from Janet Tobias on Vimeo. Each of these texts examines how deeply rooted in our societies we are and how difficult it is for individuals to vanish. Michael Finkel’s story in GQ The Strange & Curious Tale of the Last True Hermit is a great read. Finkel tells the story of Christopher Knight – a recluse who managed to craft a life of isolation living in the woods of Maine for nearly thirty years. Knight opens up to Finkel — to a point and reveals a complicated set of interests and tastes. Knight describes his difficulty returning to society and his experience in prison, “I am retreating into silence as a defensive move,” he wrote. Soon he was down to uttering just five words, and only to guards: yes; no; please; thank you. “I am surprised by the amount of respect this garners me. That silence intimidates, puzzles me. Silence is to me normal, comfortable”. The article connects with Into the Wild, Catcher in the Rye, To Kill A Mockingbird, Lord of the Flies, Glass Castle and any other text about escape, independence, mental illness or isolation. Here’s a version of the article with a few study questions added at the end: The Strange & Curious Tale of the Last True Hermit. A great story about friendship, a terrific performance and a fun two person poetry form. A poem as a point / counterpoint. Great model for students to try emulating. Erik Wernquist edited excerpts of Carl Sagan’s audio recording of his book, Pale Blue Dot to create the narration of his short film “Wanders”. Last year, the film Gravity and the novel The Martian highlighted the depressingly real dangers and loneliness inherent in the exploration of space. This year, the film Interstellar jumps beyond the possible into the fantastic. Space exploration becomes a desperate act only made possible by mystical intervention. Now, as a counterpoint to both, Erik Wernquist depicts the beauty and excitement of human space exploration with a look at what life on our nearest neighbours could realistically look like. Using Carl Sagan’s poetic musings on the forces that drive us to wander as his narration, Wernquist illustrates scientifically accurate worlds from our solar system and imagines how human occupants might work and play on these worlds. The result is spectacular. For all its material advantages, the sedentary life has left us edgy, unfulfilled. Even after 400 generations in villages and cities, we haven’t forgotten. The open road still softly calls, like a nearly forgotten song of childhood. We invest far-off places with a certain romance. This appeal, I suspect, has been meticulously crafted by natural selection as an essential element in our survival. Long summers, mild winters, rich harvests, plentiful game—none of them lasts forever. It is beyond our powers to predict the future. Catastrophic events have a way of sneaking up on us, of catching us unaware. Your own life, or your band’s, or even your species’ might be owed to a restless few—drawn, by a craving they can hardly articulate or understand, to undiscovered lands and new worlds. Maybe it’s a little early. Maybe the time is not quite yet. But those other worlds—promising untold opportunities—beckon. Silently, they orbit the Sun, waiting. 1. Review the images from “Wanderers” in the gallery (http://www.erikwernquist.com/wanderers/gallery.html). Explain which of the images best connect with the following terms: “wanderers” / “adventurers” / “colonists”. 2. Read the narration for “Wanderers”. Find earth based images to illustrate Carl Sagan’s words. Find six images and justify how they connect to Sagan’s ideas. 3. Bring to life one of the moments illustrated in the film. Using the text form of your choice (short story, news report, blog entry, narrative poem) tell the story of one of the adventures depicted in the film. Use a phrase from the film’s narration as the title of your text. 1. Carl Sagan was a scientist who wrote beautifully. Identify the most effective passage in text of his narration and explain how Sagan made use of figurative language to convey his ideas. 1. Listen closely to Carl Sagan’s performance of his text. Identify three moments in the recording that demonstrate effective speaking techniques. Explain why they are effective. The European Space Agency landed a robot on a comet only 4 km in diameter after a 10 year journey covering 6.4 billion kilometers. It’s like shooting a bullet in Toronto to land on a balloon in Tokyo. Magic. Sadly, at the press conference to discuss the landing of the spacecraft, the lead scientist made a wardrobe choice that distracted much of the Internet’s attention away from his team’s accomplishments. Mika McKinnon has written a very thoughtful, clever personal essay about the issue: Thanks To That Shirt, We May Get a Shirt Celebrating Women In Science. Unintended Consequences Assignment: McKinnon’s essay is a great opportunity to examine the idea of unintended consequences. This assignment challenges students to read and understand her text and to consider how she maintained a wonderful balance of anger, frustration, humour and purpose in her word choice and ideas to create just the right voice for her text. Beyond that, students could explore other examples of unintended consequences and create their own blog entries detailing cautionary tales telling the story of a small decision that led to unexpected consequences with interesting links for further exploration. 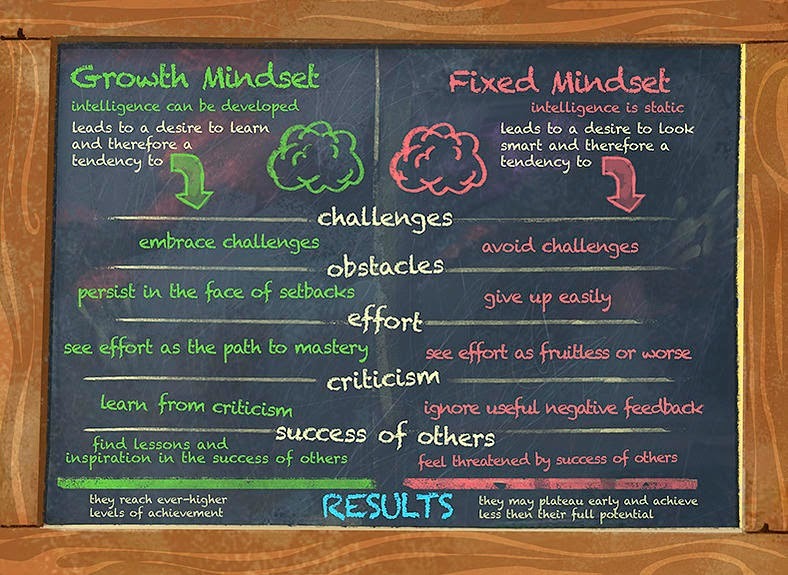 Goal Setting – "15 High Performance Habits"